Home » Articles » 171. The Year of Manifestation from Your Heart! “Don’t worry about it, it’s not so bad.” This is one of those sentences that extinguish someone’s fire. No, things are that bad and we are allowed to worry care about them. A lot of things happen that are not as they should be; education, banking, health care, the food industry, etc. And people have had enough. You can see this, for example, in the record number of political parties that ran during elections. What do all of them want? They want change. Lasting change, with an eye for people, animals, the environment and for a people-centered economy. It’s going to be an interesting year! When you do the MIR-Method, you strengthen your heart’s energy. This happens through step 8: Optimize chakras and aura, with the heart chakra. Step 4: Clear meridians, cooperates as well. The heart meridian slowly becomes cleansed so you can find your inner fire more easily. Via step 3: Detach father. Detach mother you detach yourself from the authority, from those who made decisions for you, but can no longer do that without your permission. In this fashion, you become more aware of the injustice that exists. The energy to raise your voice increases to show that you disagree with what’s going on in society. To become visible, so you and many other people can set a movement in motion. This movement has already started within each of us. Now, it’s time for the manifestors to take a stand. To get into action and manifest what they have been building for so long. To give them an important place in society and bring about real change for ordinary citizens. – Getting the people in your life that you need. People who have strongly developed their ability to manifest, get things done very quickly. All the way to the actual manifestation of objects. It will eventually lead to world change, when we all realize that we can all do this. We have the potential for this ability within us and as soon as you become aware of it, you can develop it. The reason that so few people apply it is because it is too wonderful for words. We can’t believe that we can manifest things, such as a good job, or a good partner. People who have already developed it and work with it know better. They manifest, get things done, are provided with space or materials, just what they need. It makes daily life so much easier! You have technical insight, you’re practical, you know how to do things, and you are a manifestor. You take care of collecting the necessary materials to make something new. Whether that is wood, metal, paper, textiles, music, energy or computer software, it doesn’t matter. You make ideas happen. You often get the assignment to do something a certain way. Thanks to you, good ideas become reality. You can only have an impact on other people when ideas become reality. People, who compose the most beautiful musical pieces, touch peoples’ hearts. People who use words to write inspiring texts, move people. 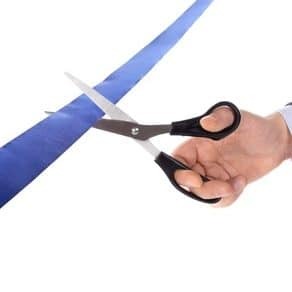 People who bring energy to earth or help to open energy gateways, causing an increase of the energy on earth that contributes to the evolution of human beings. Maybe you help to furnish buildings. All of these activities are important. Each person does his or her part, each in his or her own way, and drawn from his or her abilities. If you are fulfilling your mission and creating, manifesting something, then you are at the sum of your being. Then your heart will shine! And how about you? Do you recognize yourself in this? Are you working on a project that you want to manifest, that you’d like to bring to people’s attention? Write about it below. Thank you! I wish all of you a positive year of manifestation! Mireille, I told you about my website designed to empower people to connect with spirit a little while ago. I wanted to show you how I included the MIR Method on my Resources page. I started a blog too! I might need to do another round of the MIR Method and see what else comes. Except for my spirit animal guided meditation, everything else on my site I’ve created since first doing the MIR Method last summer. And I have so many more ideas that I can’t wait to create. I’m forever grateful to you for jumpstarting this chapter in my life. Sending you lots of love! Well done! It takes quite some effort to build a whole website and fill it in a way that many people would want to read it. In my eyes it looks really lovely and informative. Thank you for building it and sharing your knowledge with other people! Keep posting! And thank you for including the MIR-Method. It is great to see when people really advocate it and stand behind it. Feels like my work is supported and that makes it all lighter. Happy! We run an mobile shop with organic fruit and vegetables in a small community near the seaside at the Far North of New Zealand. In summertime it is a holiday destination of many. We sell our own grown chemical-free produce and that of other local gardeners. Therefore it is a kind of community stall with a wide arrange of seasonal, locally grown healthy fruit and vegetables for an affordable price. There is always a plate with free tasters and we provide information about the products, the nutrients and benefits and how to prepare it. These days we also tell about the MIR-Method to whoever is interested. So it is a win/win situation for all of us. 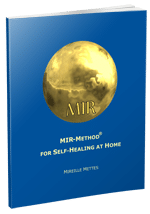 Thank you for sharing the MIR-Method in your community-shop! I have once been to New Zealand, such a paradise! What is the name of your community or town? That way, travellers can plan a visit to your place more easily. Good luck! Our mobile “Doubtless Fruit and Vege” stall is parked several days a week at Cable Bay in beautiful Doubtless Bay in the Far North of New Zealand. I live in Ireland and my children attend a Steiner Waldorf Primary School(Lower School). A group of us parents are working together to establish a Secondary Steiner Waldorf School (Upper School) so our children and many others can have choice and options for a more nurturing, creative and inspiring education. Our mission is to begin the first year of this upper school in September 2018 and build it year on year. May it manifest with ease and joy. It really sounds wonderful! I am happy that you group together to make this happen. My children are on a similar school in the Netherlands and they are thriving! It is so great to see that their creativity is still going strong!